On 7 March 2012, the Supreme Court gave judgment in seven linked cases, now known as W (Algeria) v Secretary of State for the Home Department  UKSC 8. For the background to the case and an introduction to the legal issues, see here. The decision concerns a relatively narrow, but very important, point about fairness in the national security context. 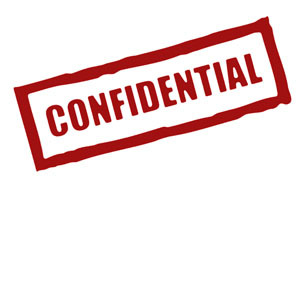 Can an appellant keep the identity of a witness (‘W’) secret, where they have important evidence to give and would face danger if their identity was known? (2) That the information provided by the witness may be material which the Secretary of State would wish to share with other States. Among other examples, she raised the spectre of being unable to pass the information on to prevent a terrorist attack on a friendly State. If that State discovered that she had had this information but not passed it on, this would cause diplomatic embarrassment. These concerns carried the day in the Court of Appeal. [Link to case preview] But they did not impress the Supreme Court. In a punchy 12 pages, they allowed the appeal. The problems faced by people who cannot see the evidence against them, including in SIAC, are obvious, and the imbalance and potential unfairness inherent in such a situation have been criticised for many years. The Supreme Court has had to grapple directly with those issues on a number of occasions. Their Lordships were keen to disavow any suggestion that their decision in this case was based on a desire to ‘level the playing field’ by allowing appellants also to rely on secret evidence. The issue had to be judged in its own right. In any event, the situation is clearly not symmetrical – not only because, as Lord Brown acknowledged, the Secretary of State has broader public duties and is not just a ‘party’ to the case, but because there was no suggestion of keeping the witness’s evidence from the Secretary of State. 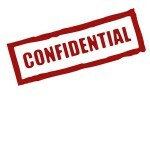 She would be fully aware of it – she just had to keep it confidential. This is a classic case which turned, ultimately, on the impression which various competing considerations make on different courts. At the heart of the case was a balancing exercise, the result of which was not determined, or even guided, by previous caselaw (not a single authority is cited in the two judgments). Factors which the Court of Appeal found compelling and decisive were seen differently in the court above. Considerations of diplomacy and international relations have, historically, been something of a trump card for the government. But in this case, the diplomatic argument simply did not strike the Court as persuasive, when weighed against the concrete situation of the individual appellants. The dilemma at the heart of the case was, ultimately, of the Secretary of State’s own making. If she chooses to deport people to states where torture is endemic, those people must be able to challenge that decision in an impartial tribunal. That requires due process. It is quite possible that ‘defence’ witnesses will be unwilling to be named, for exactly the same reasons as the appellants are frightened of the consequences of deportation. Vague considerations of diplomacy are one thing: deporting somebody to a risk of torture because witnesses were too afraid to give evidence to help them is another. The Supreme Court acknowledged the importance of open justice. It is fundamental to our legal system, and is currently under threat from a number of directions, including the government’s current proposals for secret trials. The orders which the Supreme Court endorsed are clearly exceptional, and are in tension with the ‘open’ part of the principle. But the Court was right to hold that, in very rare cases, unusual remedies may be needed to protect the ‘justice’ part of the equation. Where the alternative is deportation to torture, such remedies really are the lesser evil. Leave a reply on "Case Comment: Fairness versus diplomacy: protecting witnesses in national security cases, W (Algeria) v SSHD  UKSC 8"